Kombatite: Mineral information, data and localities. 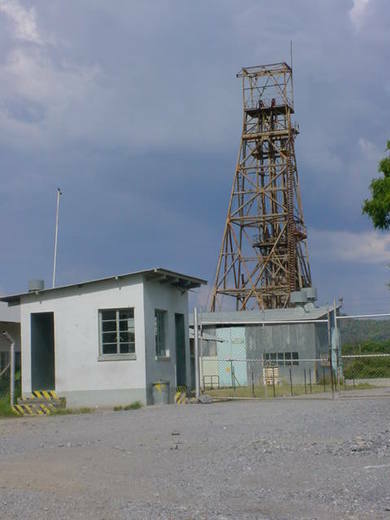 Named for the type locality, the Kombat mine. 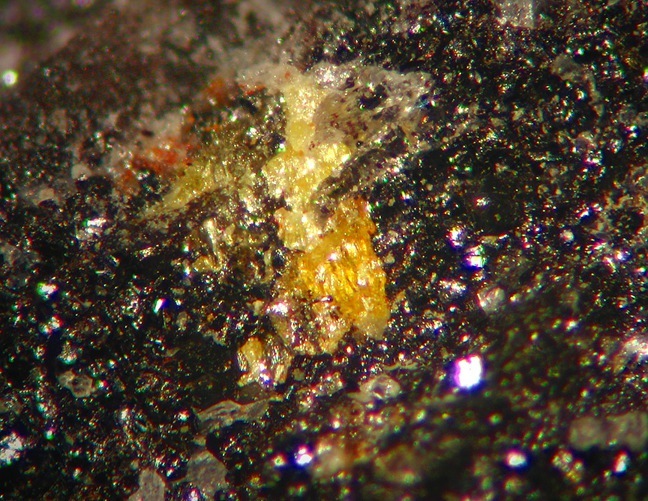 Chemically similar to erikjonssonite, hereroite, janchevite, and vanadinite. Hausmannite 3 photos of Kombatite associated with Hausmannite on mindat.org. 1 photo of Kombatite associated with on mindat.org. Jacobsite 1 photo of Kombatite associated with Jacobsite on mindat.org. Hereroite 1 photo of Kombatite associated with Hereroite on mindat.org. Vladkrivovichevite 1 photo of Kombatite associated with Vladkrivovichevite on mindat.org. Asisite 1 photo of Kombatite associated with Asisite on mindat.org. Barysilite 1 photo of Kombatite associated with Barysilite on mindat.org. Sahlinite 1 photo of Kombatite associated with Sahlinite on mindat.org. Rouse, R.C., Dunn, P.J., and Innes, J. (1986) Kombatite, the vanadium analogue of sahlinite, from the Kombat Mine, South West Africa. 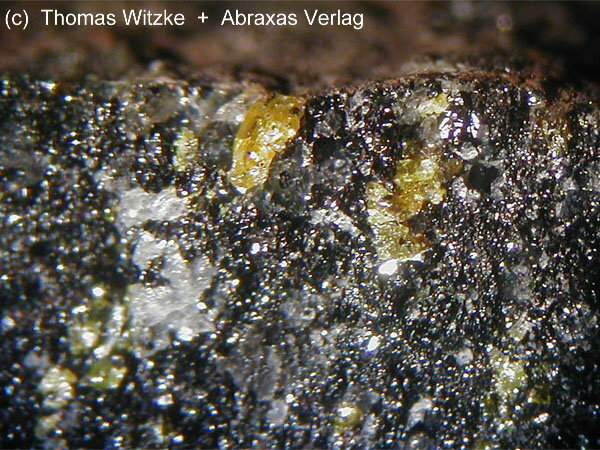 Neues Jahrbuch für Mineralogie, Monatshefte, 519-522. 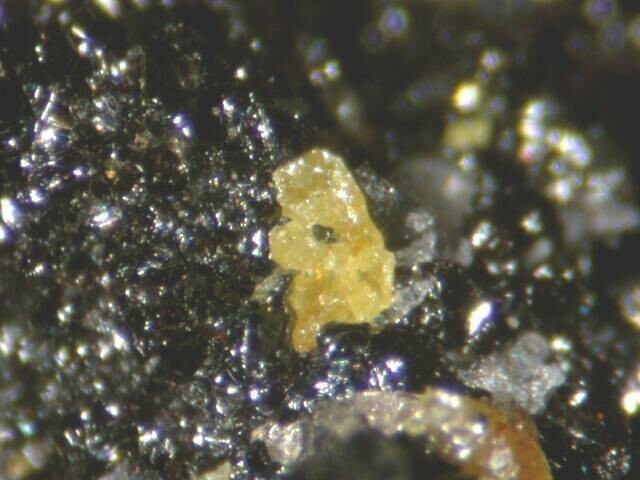 American Mineralogist (1988) 73: 938.
Cooper, M. and Hawthorne, F.C. (1994) The crystal structure of kombatite, Pb14(VO4)2O9Cl4. American Mineralogist, 79, 550-554. Rumsey, M.S. (2008) The first British occurrence of Kombatite, Pb14(VO4)2O9Cl4, from the "Wesley Mine" near Westbury on Trym, Bristol. Journal of the Russell Society, vol. 11, 51-53. Rouse, R.C., Dunn, P.J., and Innes, J. (1986) Kombatite, the vanadium analogue of sahlinite, from the Kombat Mine, South West Africa. Neues Jahrbuch für Mineralogie, Monatshefte, 519-522.; Dunn, P.J. (1991) Rare minerals of the Kombat Mine, Mineralogical Record: 22(6): 421-425.; Anthony, J.W., Bideaux, R.A., Bladh, K.W., and Nichols, M.C. (2000) Handbook of Mineralogy IV: Arsenates, phosphates, vanadates. Mineral Data Publishing, Tucson, Arizona. ; Rumsey, M.S. (2008) The first British occurrence of Kombatite, Pb14(VO4)2O9Cl4, from the "Wesley Mine" near Westbury on Trym, Bristol. Journal of the Russell Society, vol. 11, 51-53. Rumsey, M.S. (2008) The First British occurrence of Kombatite; Pb14[O9(VO4)2Cl4] from the “Wesley Mine” near Westbury on Trym, Bristol. Journal of the Russell Society, vol. 11, pp 51-53.